Titanfall now has even fewer game modes! Titanfall from Respawn is a great shooter, filled with mech-dropping action. As a multiplayer-only game, it was criticised – when it was indeed criticized – for having too few game modes. and now, on the Pc at least, it has even fewer. Respawn has removed the Capture the Flag and Pilot Hunt modes from the game’s ranked playlists. Respawn has said that the two modes will still be available to play via Private Matches and Variety, but if you want to rank up, you’re out of luck. It’s not that big a deal though, nobody was playing those mdoes on PC, which is why they’ve been axed. “We have an amazing and large PC audience with the vast majority of users predominantly playing Attrition and Hardpoints game modes,” Respawn said on its blog. 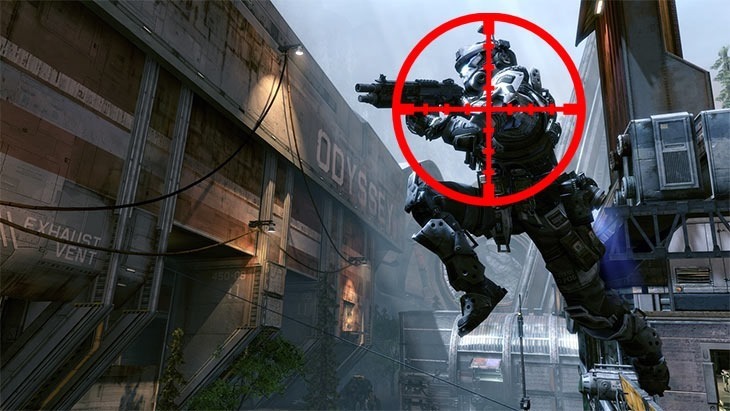 “CTF and Pilot Hunter have not been widely used modes on the PC version, so players trying to access these modes had overlong wait times to find other users and it was making for a poor experience. Truth is everybody’s really playing Hard Point and Attrition, and the modes that are being excised just weren’t very much fun to play on the maps available. It’s no big loss to anybody. Respawn is currently working on new game modes, and developing new takes on the old modes to keep the game fresh and exciting. I stopped playing Titanfall ages ago due to work commitments, and to be honest, there’s very little about the game that’s calling me back. I think there’s a a very real possibility of imminent onset of Titanfall fatigue, which is possible why EA’s been selling the game at 40% off on Origin this weekend.